I lived much of my early years in Lewisville, TX and I’ve certainly seen it grow and change over the years. So, I was up for a tour of Lewisville’s Old Town last month and I am super impressed! Old Town has a lot to offer from trendy coffee shop, fine dining, gifts, and almost completed co-working space. In fact, there’s even a speak easy! Lets go on a tour of local businesses and get an Insider’s Guide to Old Town Lewisville Shopping. 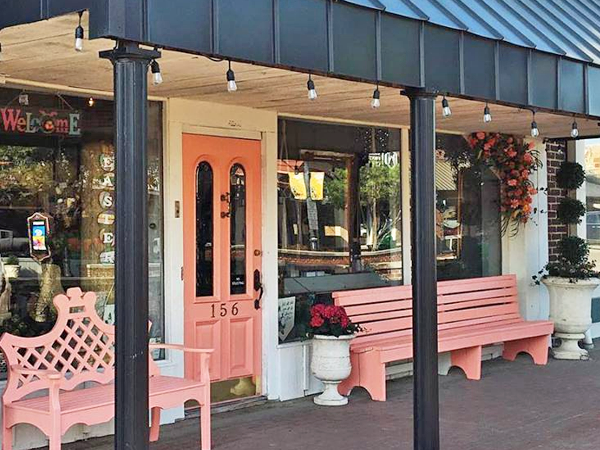 Also be sure to check out our Insider’s Guide to Downtown McKinney Shopping. Home to approximately 100,000 residents, Lewisville, TX is located just minutes from DFW International Airport. Old Town is the urban core of Lewisville. 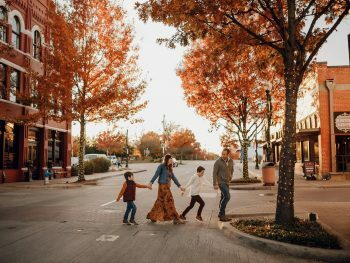 Structures date back to the 1880s, and Old Town Lewisville shopping and dining definitely needs to go on your list of things to do in DFW. 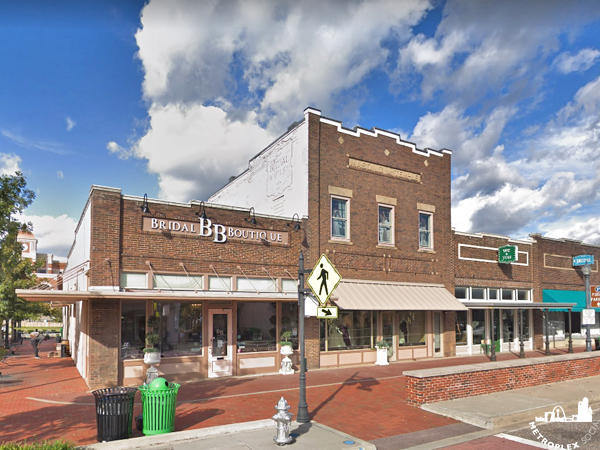 Old Town’s beautiful historic buildings show off its architecturally rich heritage, while its charming historic home district is perfect for a stroll. 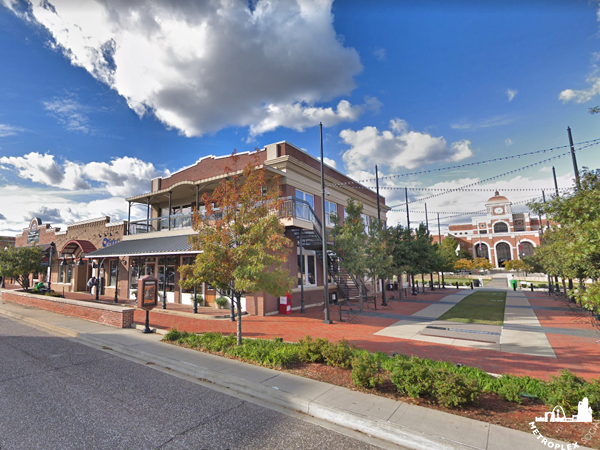 Old Town also boasts a public performing arts center and a number of shopping, dining, and plaza options. The entertainment district in Old Town hosts concerts, public art events, festivals, and more throughout the year. Old Town is a treasured part of both Lewisville’s past and its future. Lets check out some of my favorite Old Town Lewisville shopping spots! The Main Street Mercantile, better known as “The Merc”, was born from a love of old things, and Old Town. Local natives (Fight Farmers, Fight!) and owners of The Merc, Randy and Ronda Owens, saw the untapped potential of Old Town Lewisville as an opportunity to share their passion for vintage treasures. 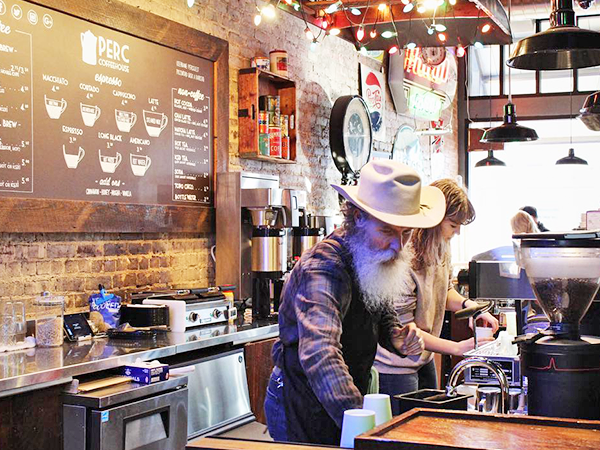 In 2013, The Main Street Mercantile was founded and took residence in a historic 1920’s house on the corner of Charles and Main. After just a couple of years, the need for a larger space was undeniable. 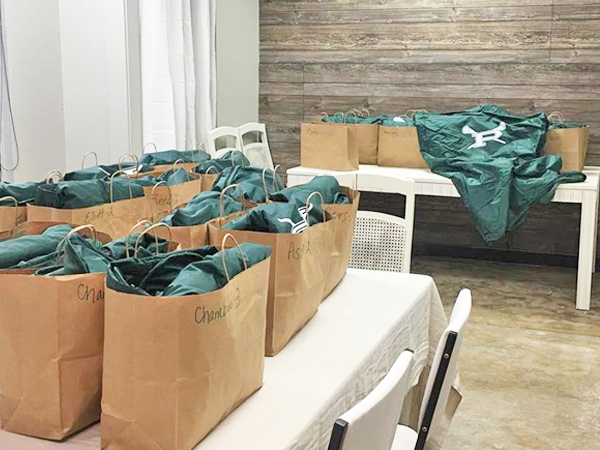 So in 2015, The Merc packed it’s bags and moved down the street to occupy a suite in the iconic brick buildings of Old Town, with double the space! Heading into it’s fourth year, the Merc has 14 dealers, and is bursting at the seams with beautiful pieces. The Perc Coffeehouse is a vintage style craft coffeehouse in the heart of Old Town Lewisvilles. They partner with local roasters and bakeries that share a common commitment to quality in both ingredients and service. The mission of The Perc is to to be a destination for gathering, engagement and growth within the community. They seek to serve and enable people to improve their lives and the lives of others. This Old Town Lewisville coffee house is filled with an extensive collection of antiques from around the world, as well as local pieces that showcase their hometown of Lewisville, TX; together they create a rich history of places and things, with no two tables the same. J2 Steakhouse is a new restaurant in a familiar space. Opening in the Spring of 2018 by a family who was just as fond of great food as they were of preserving the past. After operating since 1886, the Lewisville Feed Mill at 119 E. Main St had seen its fair share of history & reinvention. There is something special about what the Polser family created over 100 years ago that lends itself to preservation. It’s rare to find a restaurant that feels so comfortable in its own right and place – so written into the lore and landscape of a neighborhood and it seems it has always been at that address. Many elements of the Lewisville Feed Mill are on display at J2 Steakhouse. 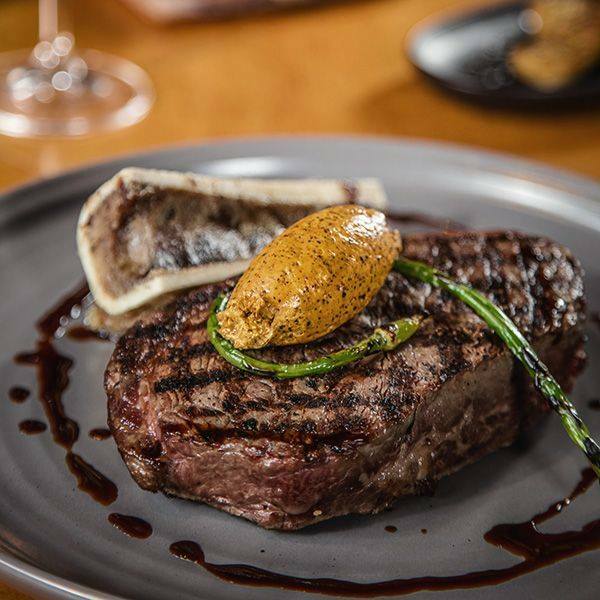 Today, J2 Steakhouse serves elevated Texas fare with a wonderful selection of dry aged beef in the heart of downtown Lewisville. It is kept up by a staff who strives to maintain an unobtrusive sense of hospitality & service. I hear they have a wonderful $15 steak for lunch. This Old Town Lewisville restaurant is rich with history. Originally the home of Dr. Kennedy, legend has it he would periodically be blindfolded, kidnapped and taken to the hideout of Bonnie and Clyde (who used to camp out by what is now Lake Lewisville) to provide them medical care. The early 1980s is when the building was last used as a residence. The dining rooms located on both sides of the entry and the Library Room are all part of the original structure. The ceilings in the East and West dining rooms are adorned with the 120 year old cedar planks used in the original construction of the home. Tierney’s Cafe and Tavern has been serving American classic dishes for 16 years. Join them for Breakfast, Lunch, Dinner and Drinks every day. Tierney’s Cafe and Tavern is a staple of the local Community and they are an award-winning restaurant in the amazing City of Lewisville, TX. 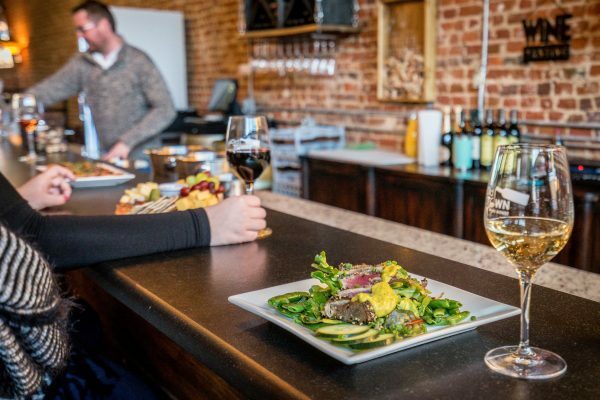 Located in downtown Lewisvlle, Old Town Wine House embodies the energy & charm of Lewisville with the laid back atmosphere of your dining room. Designed with a relaxed approach to good food and wine in mind, there’s an open invitation to drink, eat, share, and enjoy. Irene’s bakery is a bakery owned by Irene in old Town Lewisville. She makes a killer tres leches cake. 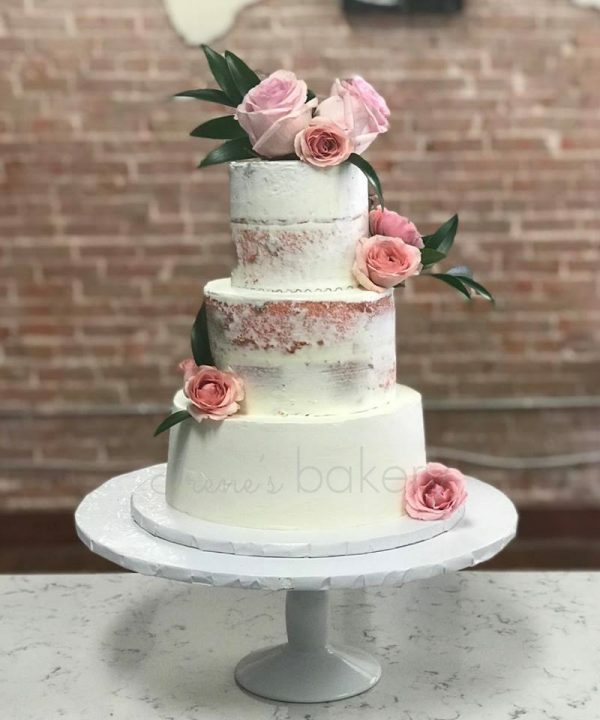 Be sure to stop by Irene’s Bakery in Old Town Lewisville for custom cakes for any occasion, Wedding, birthdays, showers, bachelor parties, etc. Everything is made from scratch with a unique and delicious flavor! Flourish flowers & gifts is the realization of a dream to bring beauty and life to the community and its people through fresh flowers, plants & unique gifts. Flower arrangement began as a hobby for the owner by creating intimate arrangements for friends and decorations for large events. 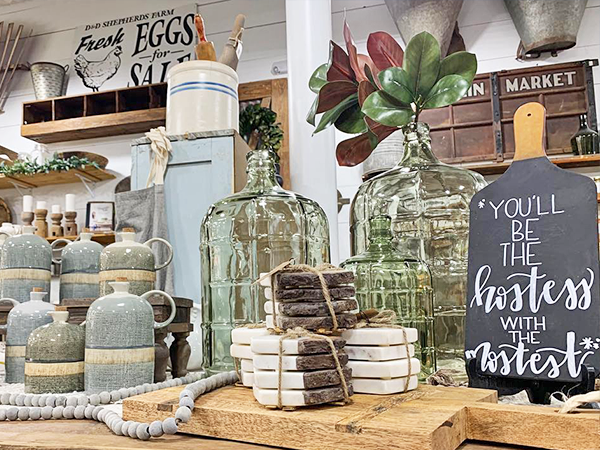 Flourish’s storefront is the ideal setting for its unique character and charm. The shop is located in Old Town Lewisville. With structures dating back to the 1880s it’s a fun shopping and dining district with charm and vitality. Flourish’s style reflects this nostalgic, farm-fresh, hometown feel. Makers on Main is a one-stop shop for vinyl and personalization. They carry a large variety of vinyl and are proud to be one of the first authorized dealers of Stahl’s Heat Transfer Vinyl in the DFW area. Makers also has heat presses, blanks, and accessories for sale. Their craft workshop is equipped with laptops, Silhouette Cameos, a Cricut Maker, and heat presses for your use. Looking for something custom-made? They can even work with you to create the perfect gift that suits your budget and taste. Makers on Main is more than a store – it’s a place where the crafting community comes together to inspire and learn from each other. Beasley’s Fine Jewelry is an independent jewelry store in the heart of Old Town Lewisville. Beasley’s has been family owned and operated since 1948. 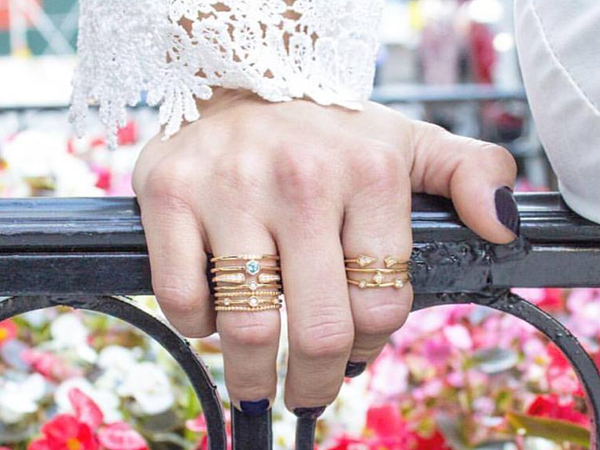 They take pride in creating and offering for sale high quality, custom and designer jewelry. Other services also include watch service, clock repair, and the best in local customer service. Prohibition Chicken is a Prohibition Era style restaurant with amazing Fried Chicken, Smoked Akushi Trip & Hickory Wood Grilled Trout all served family style in a relaxing atmosphere. They also have an intricate beverage program with old and new twists. There’s something for everyone in the family! We also like their awesome music program, with a great indoor/outdoor patio. For the cocktail enthusiasts, there’s a Speakeasy in the back…..shhhhhhhh. There’s lots to see and do in the metroplex and we love all the things that make our community unique and interesting. Let us know if we missed your favorite Old Town Lewisville shopping or dining spot. Where should we go next?